While the rest of the country moans about the winter weather, rain, and rain turning to snow can be an occasion for rejoicing here in the southwest. 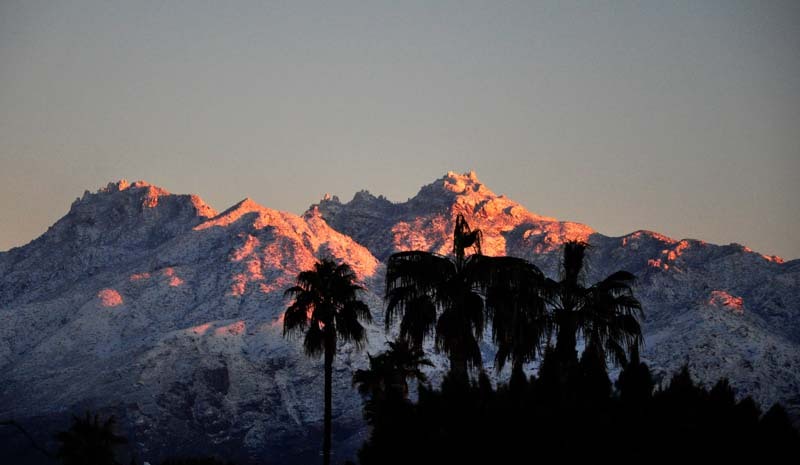 On February 22, we had over an inch of rain in Tucson, and up to four feet of snow in the Catalina Mountains to our north. We loved the way a layer of snow can transform the world, making graceful lines over rocks and hills. We also appreciate the value of snow to plants, and expect a bumper crop of flowers this coming Spring and Summer. 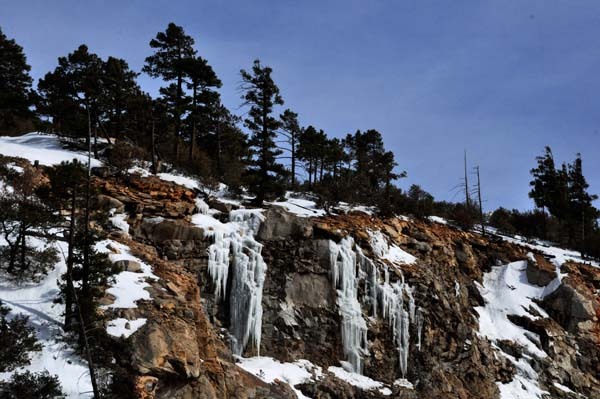 On a drive up the mountain we were fascinated by the site of an old quarry, festooned with icicles, some laying along the surface of the rocks, others hanging out in space. Some time later Ed and I took a walk in Molino Basin. This was about a week after the big snowfall, and we couldn’t help noticing piles of branches lying on the ground, especially under the great oaks. At first this seemed like destruction, then we paused to think of it more as snow trimming the trees. 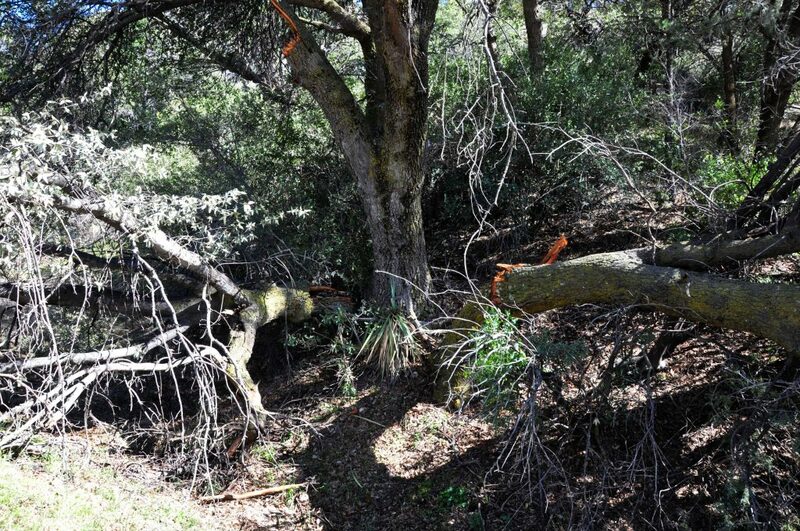 Many of the oaks were trimmed like this.